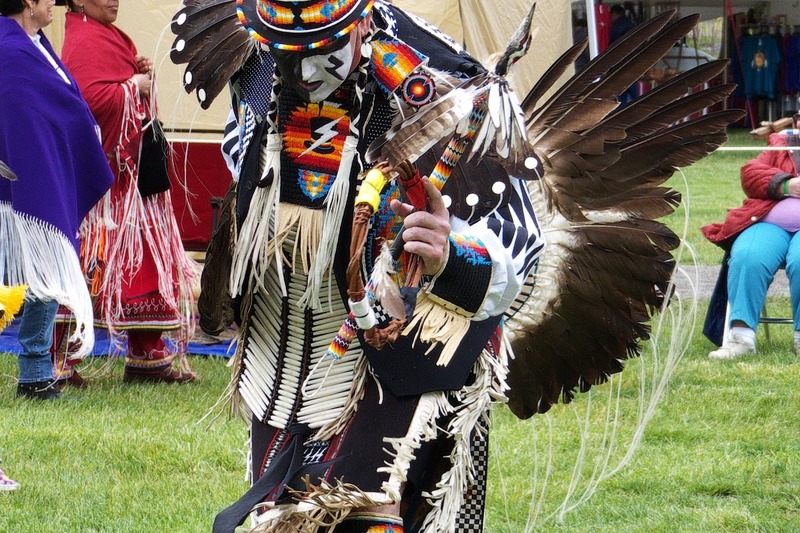 PowWow on Manatawny Creek is an event held annually to celebrate the Indigenous Native American culture and the heritage that has sustained itself for thousands of years on these American continents, (Turtle Island). It is an endeavor to share the history of the many nations that preceded the European appearance on these continents and how these lands were understood and cared for by the original inhabitants of the land we know as Turtle Island. This celebration came about as the result of a personal project I have pursued to care for the maintenance and development of a Native American burial site on the banks of the Schuylkill River in my community of Pottstown, Pennsylvania. It is a site intended to memorialize the location of the discovery of a burial site where the remains of a Native American and his artifacts had been unearthed in the year 1859. Through the efforts of our community the site was dedicated on May 4, 2000. Since its dedication, with the exception of an Eagle Scout project in 2010, the site had been neglected. The respect that was intended by the dedication of this memorial had been ignored. The site has been re-dedicated and it is hoped that through our efforts with the PowWow on Manatawny creek and this funding drive we can to improve its appearance, (with an indigenous garden, a medicine circle and a storytelling venue). With adequate funding, in addition to the PowWow, my goal is to bring Native American performances, story-telling and education programs to our schools and other community venues. It is our hope that funds can be raised to provide adequate funding toward the development and respectful recognition of the burial site and to .